It can be all too easy to enter a new payroll contract into your payroll system and move on to other “more pressing” work. But trouble can ensue when details are overlooked. Before you know it, a systematic problem that eluded your radar has now become the cause of significant miscalculation. It’s time to make payroll contract reviews a priority. Managing your entity’s payroll isn’t always as easy as simply rewarding your employee an agreed upon compensation for a hard day’s work. 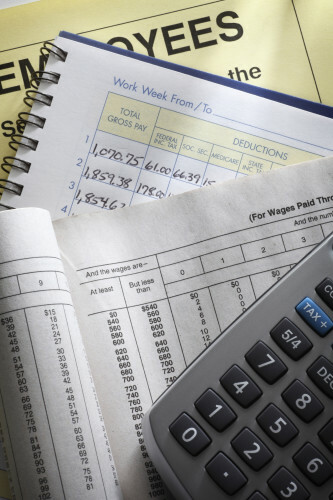 And because salaries and related benefits are usually the largest expenditures of most governmental entities, it’s absolutely imperative that your payroll amounts are calculated correctly. Avoid making costly mistakes and make sure you have the proper checks and balances in place to ensure that you are properly calculating payroll every time. If your employee’s contract outlines how many days they are expected to work each week, for example, you can’t just trust your payroll program to work out the nuances and arrive at an accurate daily pay rate. Instead, you are going to have to make sure that your employee’s daily rate correctly correlates with your entity’s payroll calendar. This will help you determine if your per-pay amounts are correct. It’s also a good idea to regularly review your employee’s compensation amounts to your entity’s base-pay amounts to determine if any discrepancies exist between your employee’s base pay amount and their actual daily rate. Then take a closer look at how the payroll calendar helps drive those compensation amounts. Are you on track? Pro Tip: Don’t forget to make sure someone in your finance department signs off on all compensation reviews, which should be a key control in your entity’s payroll process. As if per-pay inconsistencies weren’t enough when managing your entity’s payroll responsibly, here come inconsistent contract start dates to throw a wrench into your department’s payroll processes. Managing employee start dates against your payroll calendar gets particularly hairy when a new hire starts working between pay periods, for example. But, when issues such as these occur, make it a priority to review and approve the pro-rated salary prior to issuing the first payroll. Then, when the contract period comes up again, set aside some time to do a review of the employee’s earnings register to be sure that the payroll calendar amounts paid are in line with the amounts that were originally agreed upon in the contract. The same process should apply to contract changes throughout the year as well. The start date of the new contracted amount should be clearly stated and compared to updated payroll calendar totals. Sometimes, problems can arise when an employee leaves before receiving the full compensation amount outlined in their contract, like if they were to terminate employment between your payroll period’s ending date and your entity’s pay day. To avoid compensation issues, add a step to your severance checklist to ensure that the correct separation date is entered into your payroll system. This will help you ensure that you are paying the employee appropriately. In a nutshell: timing is everything, payroll contract reviews are necessary and help is only a phone call away. Email Rea & Associates to find out how adding strategic processes and procedures to your payroll efforts can help prevent funds from leaking out of your entity’s budget.